During a trip to the Karlovy Vary region on Tuesday, Czech President Milos Zeman claimed he considered Turkey a “de facto ally” of Daesh*, the CTK news agency reported. “Why [do the Turks] attack the Kurds? Because they are de facto allies of the Islamic State [Daesh]”, the president said, answering a question from one of the meeting’s participants. “This means that it’s Turkey – despite the fact that it is a NATO member and seeks to join the European Union, which it is unlikely to be accepted – that has served as a mediator in logistics operations for the Islamic State [Daesh] supplies when [this terrorist organisation] occupied a significant part of Syria and Iraq. This, for example, included oil exports [from the territory seized by terrorists] and the like". "This is no longer the secular state of [Kemal] Ataturk, but a state that professes Islamic ideology, and as follows logically, that it [the state] stands close to the Islamic radicals", Zeman alleged. 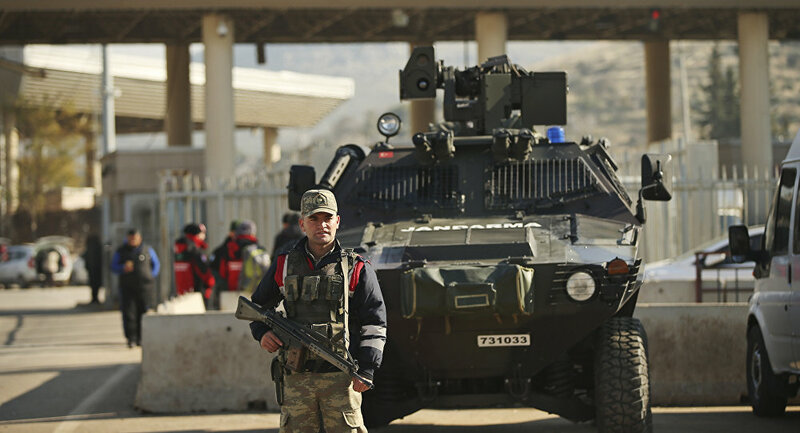 Erdogan has yet to comment on the accusations, but Ankara has repeatedly accused the West of backing the Kurdistan Workers’ Party (PKK), which Ankara views as a terrorist organisation, and sponsoring Daesh. At the time, Erdogan slammed US intentions, having accused Washington of building a “terrorist army” near Turkey’s borders and vowed to “strangle” it “before it is born”. *Daesh, also known as ISIS/IS/ISIL/Islamic State, is a terrorist group banned in Russia and many other countries.